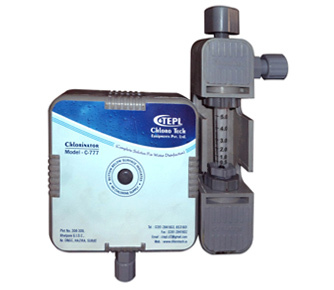 CHLOROTECH Model C-731 is the advance technology Chlorinator designed to feed chlorine gas at a controlled rate. The flow rate of gas is maintained by constant positive acting spring-opposed diaphragm regulators. The Model No. 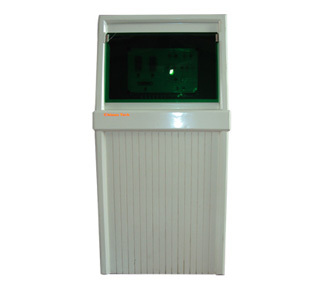 C-777 is a high Quality low cost chlorinator of the solution feed, vacuum type. Proven design, rugged construction and use of best available materials assured precise gas feeding, low maintenance, dependable operation and long life. The chlorinator mounts directly on the cylinder valve by means of yoke clamp connection. The ejector is designed for low pressure operation and may be mounted directly in the pipe line. 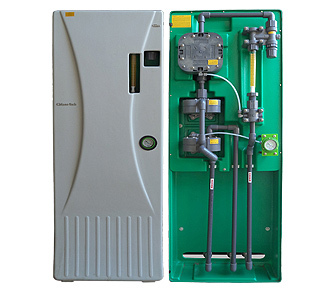 The New model MK- I Chlorinator is manually adjusted gas type. Vacuum operated. 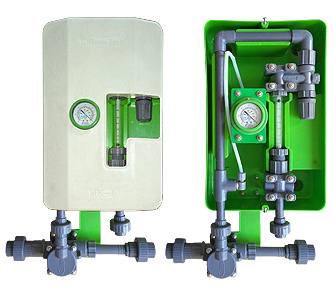 Solution feed instrument designed to provide a continues & constant measured quantity of gas while in operation. It is suitable for use with chlorine. Sulphur dioxide or ammonia gas. Intermittent “Stop-Start”. Control or automatic “Shut-Off”. Can be achieved by interruption of the motive water supply. Welcome to Chloro Tech Equipments Pvt. Ltd. The management team of ChloroTech is headed by Mr. H. D. Kansara, a well experienced executive with 19 years of experience in the Disinfection Business. Mr. Kansara has the highest degree of business acumen towards identifying the business in various market segments and catering to the specific needs of the users by providing appropriate solutions and products. ChloroTech is poised for making the large in-roads in the Indian market and establish itself as the global company in this market with roots spread deep with a clear strategy of being identified as "Indian" company and therefore will pursue an age old proven strategy. Contact Address : Plot No.308- 309, Ichhapore-Bhatpore G.I.D.C. Estate, Near ONGC Co., Bhatpore Road, Surat-394 510 (Guj) INDIA. 2013 Copyright © Chloro Tech Engineering Co.All Rights Reserved.